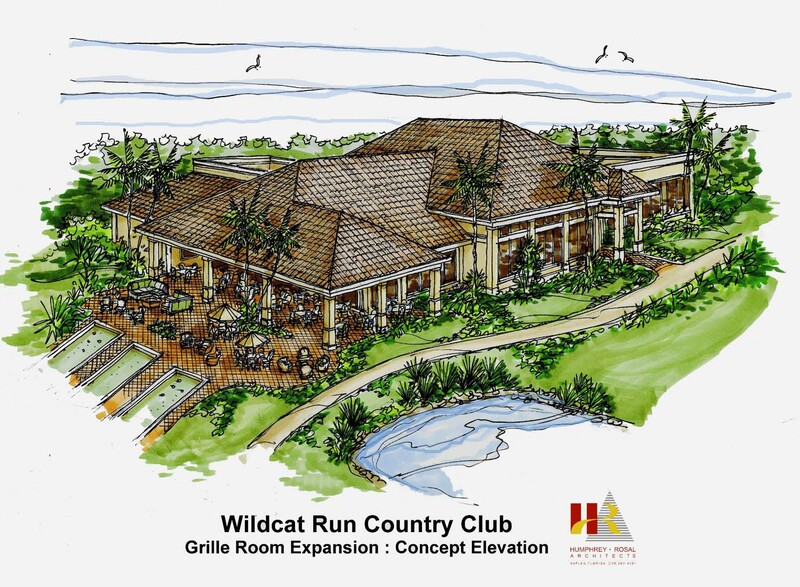 The membership of Wildcat Run Golf & Country Club in Estero has approved a $4 million plan to expand the Club’s Grill Room. Naples-based architectural firm Humphrey Rosal Architects will oversee the Grill Room renovation, which encompasses the dining room, lounge, card room, and locker rooms. The renovation will increase the Club’s casual dining space, including outdoor dining, and will enhance the indoor/outdoor bar and social gathering area. The project, which will also add bocce courts, will commence next April and is scheduled for a November 2020 completion. The Grill Room renovation follows a $3.4-million transformation of Wildcat Run’s Clubhouse. 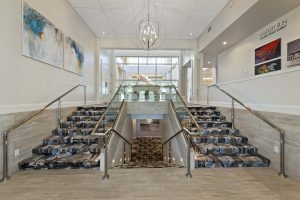 The 26,000-square-foot clubhouse was reconfigured to increase the entrance and lounge space, and interior furniture and finishes were updated in a timeless, modern design with traditional touches. Wildcat Run Golf & Country Club includes 450 homes on 584 acres about two-miles east of I-75. The private, member-owned country club features an 18-hole, par-72 Arnold Palmer Signature golf course, clubhouse with formal and casual dining and ongoing activities, five Har-Tru tennis courts and a Fitness and Wellness facility. The 18th hole has been recognized as one of Naples Daily News’ Dream 18 golf holes. Non-resident Golf Equity Memberships and Preview Golf Memberships are available. For more information, visit www.WildcatRunCC.com or call Director of Membership Kristen Yanzer at 239-947-6066.